hotel with exceptional food. As an appetizer we ordered the beet cured salmon and fell in love with not only the flavor but the aesthetics of it as well. If you’ve been reading along this week, you can see we’ve been on a bit of a beet kick. We certainly made the most of the beets we purchased and found many interesting ways to utilize them in different recipes. This might be my favorite of all though, as it was absolutely scrumptious. We started with a nice piece of salmon weighing about one pound. We scored the top in diamond shapes. While this recipe can be made with Pernod we decided to use vodka. 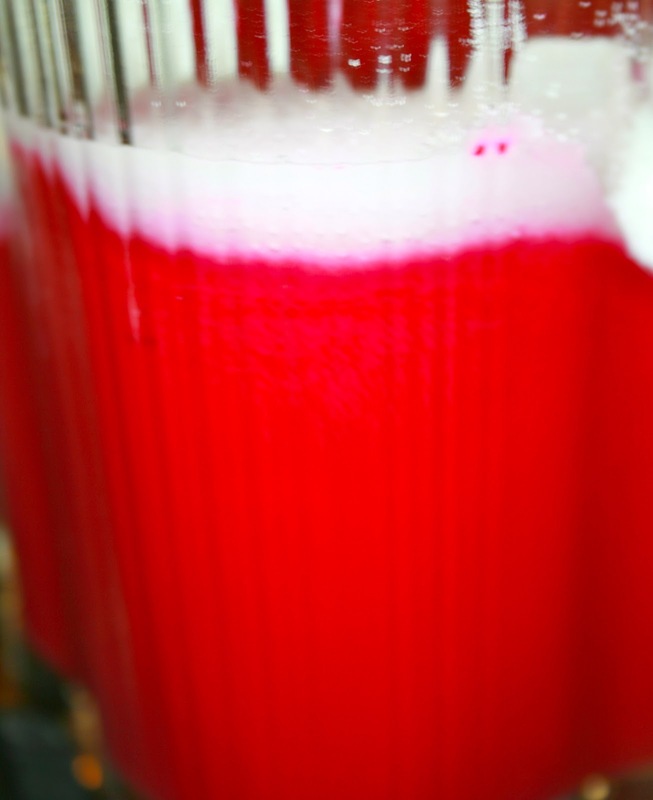 In a blender we added the beet juice, brown and white sugars, salt and vodka. We added the peppercorns and bay leaves to the top of our salmon. We chopped some fresh dill to add to the mixture when complete. We placed the salmon in a sous vide bag and then added the liquid and dill to it. 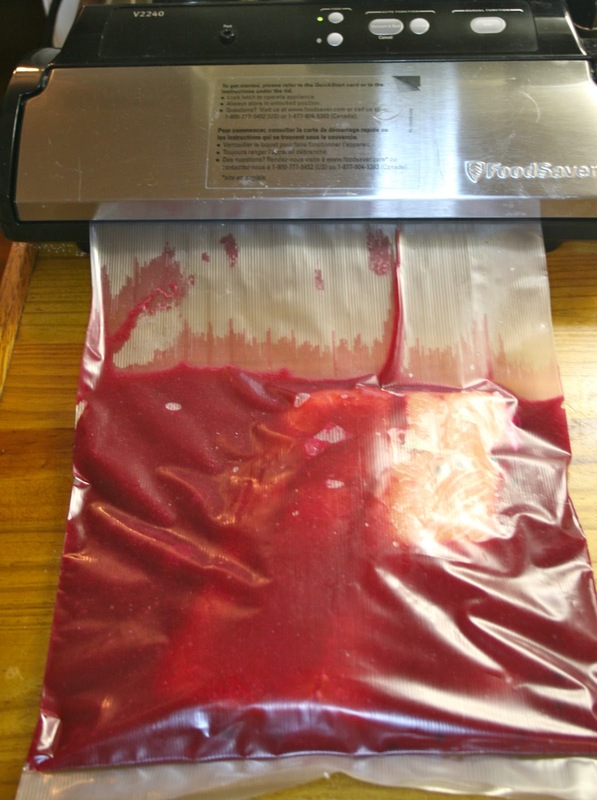 We vacuum packed our salmon beet mixture and let it rest in the fridge for about thirty six hours. When we took the fish out of the bag we rinsed it well and let it dry out on a baking rack. When sliced it is stunning with the gorgeous red edges against the orange center. 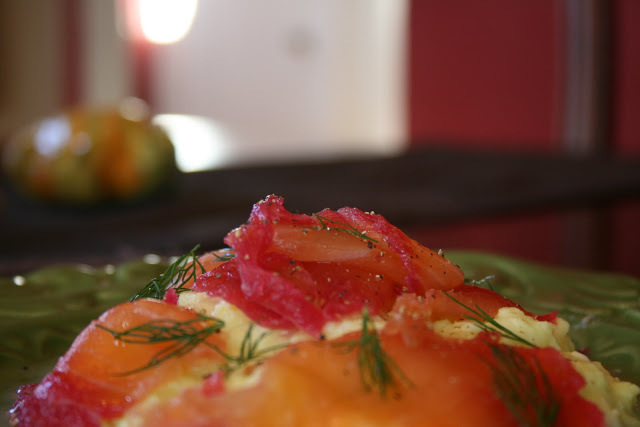 We served ours for breakfast over scrambled eggs and topped with fresh dill. It was creamy and delicious and would be lovely on its own or with goats cheese on a cracker.